A mold infestation in your residential or commercial building should be properly addressed as soon as possible. If mold is neglected and allowed to fester, it will rapidly colonize your property and leave you with an even more expensive bill. Mold and the water feeding the mold can wreak havoc on your property and do serious structural damage to your home or business. In addition, mold is considered a bio-contaminant and can cause a multitude of health problems to those exposed to mold. If there are signs of mold activity in your Pine Hill home or business, call a certified mold professional to properly handle your concerns. 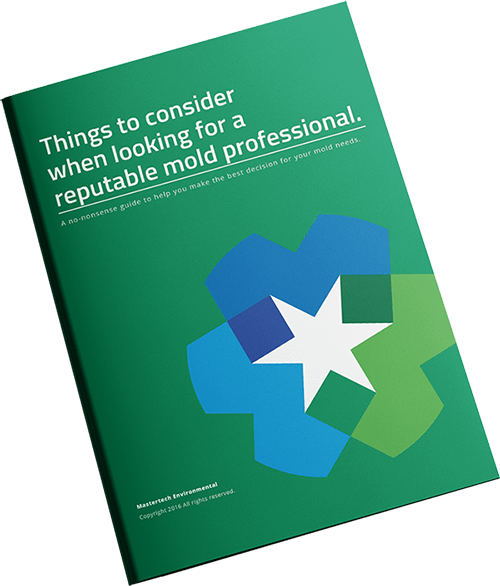 If you suspect mold development in your Pine Valley, NJ property, you should contact a reputable mold professional to conduct a comprehensive Pine Valley, NJ mold inspection. A proper inspection will confirm or deny the existence of mold, diagnose the moisture source allowing the mold growth, and determine the full extent of the mold development. Following a thorough mold inspection, your MasterTech inspector will be able to outline an appropriate course of action to remedy your mold issues. A comprehensive visual inspection inside and outside of your Pine Valley, NJ home or business. Thermal imaging of potential problem areas to isolate all damp building materials. A detailed report outlining what we did, what we found, where we found it & what to do to fix it. Mastertech provides Pine Valley, NJ with the highest quality mold removal service available in the industry today. Our mold removal and remediation process is specially developed by a team of industry trained and certified experts. Our Team has made every effort to incorporate the safest and most up-to-date mold removal methods and equipment into our step-by-step mold removal and remediation process. At MasterTech, we are committed to providing the safest, most effective, and most efficient mold removal in Pine Valley, NJ. Currently, oxidative technology is the safest approach to mold removal. This method has revolutionized the mold remediation industry. This process is environmentally safe and does not require the use of powerful pesticides or dangerous chemicals. The MasterTech experts have integrated oxidative technology into each mold remediation to ensure that the job is done correctly and safely. Our mold remediation is broken down into strategic steps to ensure that each mold remediation in Pine Valley, NJ is completed to the highest standard from beginning to end. As proof of our commitment to doing the job right, we always complete post verification testing to confirm that the job just done accurately. We also back every mold remediation with a 5-year mold-free warranty. For mold removal in Barrington, NJ or mold inspection in Mount Ephraim, NJ call 1 (800) 310-3226 today. A MasterTech Team Member be happy to answer all your questions and set you up for an appointment with one of our certified mold inspectors.